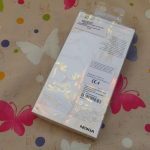 Nokia 5 is a beautiful device and it would be a shame to cover it up with a protective cover of any kind. But, sometimes its nicely designed aluminium body can be slippery and to prevent it from getting annoying scratches, covers are the best solution. 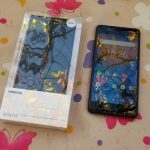 HMD Global made the official covers and cases for the Nokia 5, and covers like CP-302 are already available in various stores. Croatian retailer Mobis got them and gave us one for a test. 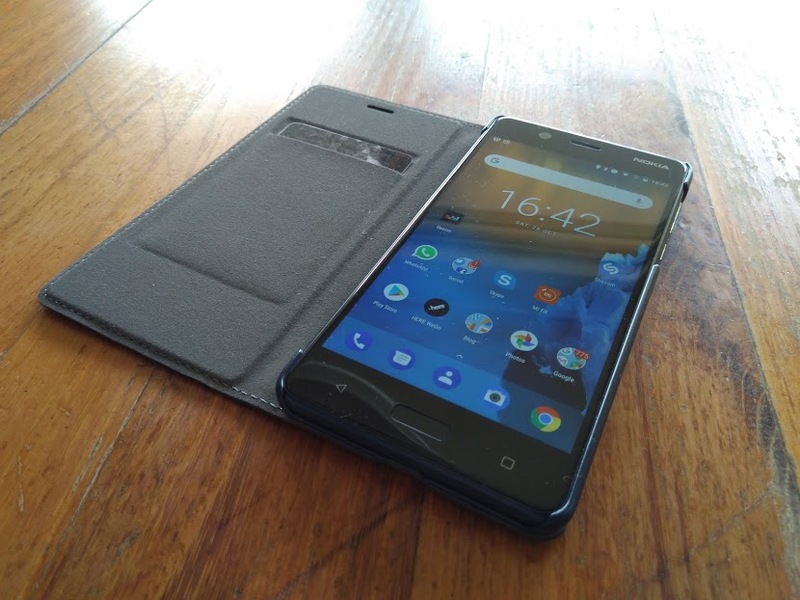 We have CP-302 in a blue color which looks cool, like the Tempered Blue Nokia 5 we got. 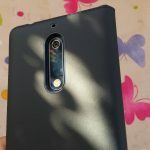 By the first look at it, you can notice that HMD not only licenced the brand, but also the production of the accessories since CP-302 resembles to some older models made for Nokia Lumia devices (CP.637 for the Lumia 930). The used materials are also the same, what guarantees the build quality and durability of the cover. 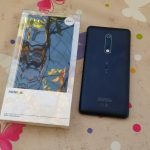 The retail box is made from transparent plastic and to verify the genuinity of the product, the box should have round Nokia 5 sticker, or at least the sticker of the retailer and importer. This one is made in China, like everything else 😊. 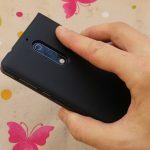 The polycarbonate flip case has a frame made of polycarbonate, while the inner and outer sides are covered with high quality polyurethane (PU). 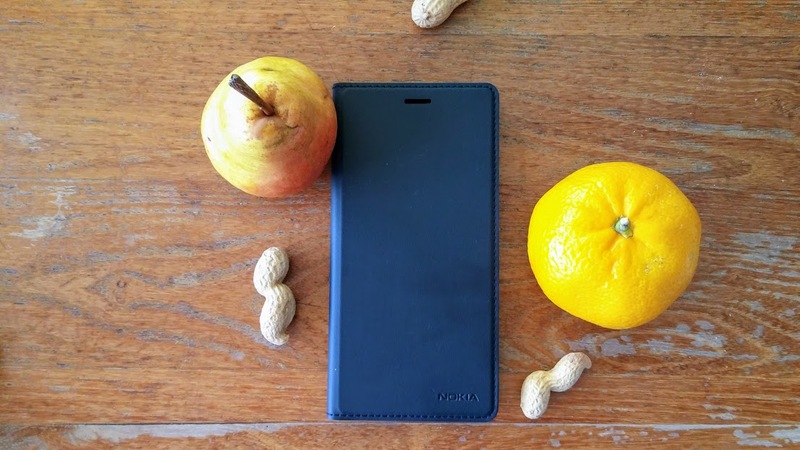 The PU on the outside mimics the leather nicely, and had a soft touch under the fingers. 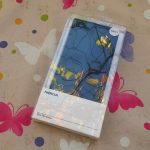 The quality of the mask is improved by the threaded edges all around the mask, and also with the nicely imprinted Nokia logo at the bottom right part of the flip cover. 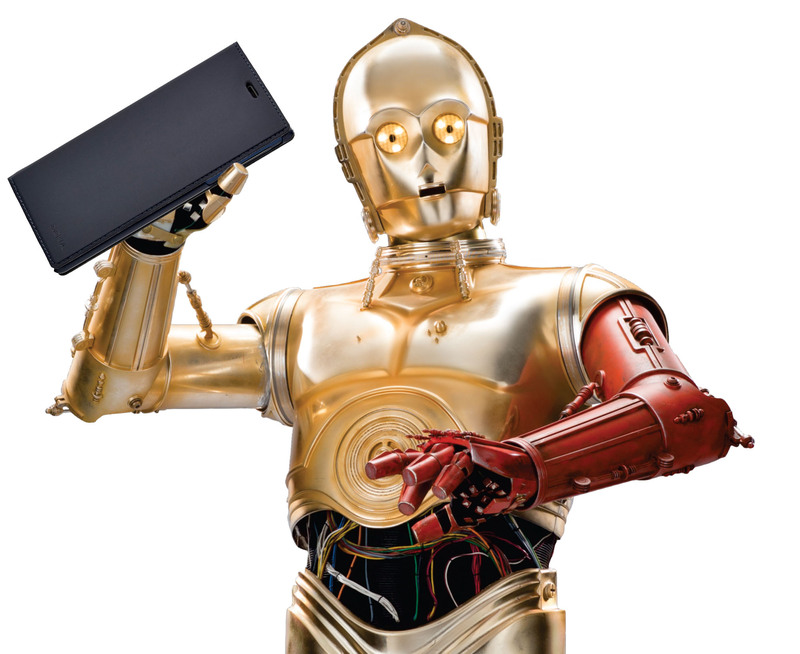 The device fits perfectly into the polycarbonate frame which holds the device by its ends so there is no problem with plugging all the additional accessories or cables, and the loudspeaker is also not covered. There is also cut off in the area where the power and volume control buttons are, so it is easy to press those also. The back has a nice opening for the camera module and microphone above, and the mask does not interfere in anyway with photos or videos. If you take macro shots, the objects won’t be tinted with its colour as would happen if the mask colour was more vivid. This flip cover can be hard to use when answering the call, so HMD left an opening at the front for the earpiece, so you could resume talking with the lid closed. Additionally, the cover is easy to flip back while typing right out of the box, which is not the case when using other unofficial masks. 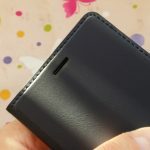 The CP-302 cover does have a built in card holder (standard credit card dimensions) which is dented a bit so with the card fit in, lid would still fit perfectly on the screen. While you can place your card easily in, it is a bit harder to take it out and you can’t place two cards there since the pocket would get loosened. 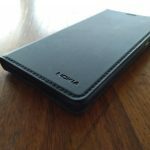 After wearing on the Nokia 5 for a few days, which I deliberately kept in my pockets and in (man) purse, CP-302 cover remained unchanged, undamaged and cover still sits perfectly. But, to preserve the aesthetics of the flip case, I would avoid keeping it in the pockets (back or front). Anyway, I think that the CP-302 cover is worth of the price (in Croatia around €17), and if you don’t love the flip cases you can go for the translucent silicone cover CP-109, or none at all. Thanks Mobis for letting us test the CP-302 case.